Nautilus file manager is being completely revamped. Many improvements are made to the user interface to simplify the file manager. However, some useful features are also being removed in this process. "There is really little difference between compact mode and icon mode with labels on the side. Well, except for that that horrible horizontal scrolling." "It is the list view after all. Tree models don't work well on touch and it isn't consistent with the file chooser." "Extra Pane mode was somewhat useful before GNOME 3 had side by side window mode. The combination of panes and tabs is just too much. It is inconsistent with the file chooser and doesn't work well with touch. We would like to add a more explicit copy/move feature shortly." "This doesn't really work well, it is inconsistent with the file chooser, isn't use anywhere else in GNOME, and we want to enhance the list view to cover this case." "Use a better date format by default instead of making the user guess." This is a screenshot of latest Nautilus compiled form git (thanks to mc4man). Note that this hasn't landed in Ubuntu 12.10 yet. It will be interesting to see if Ubuntu makes any changes. 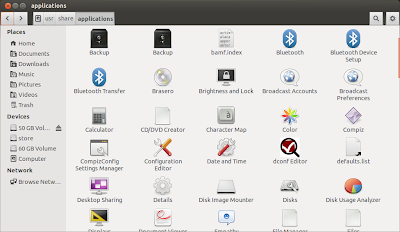 However, discussions about new Nautilus are going on Ubuntu forums and mailing lists and many users are suggesting forking or using some other file manager as Gnome and Ubuntu are drifting apart day by day. 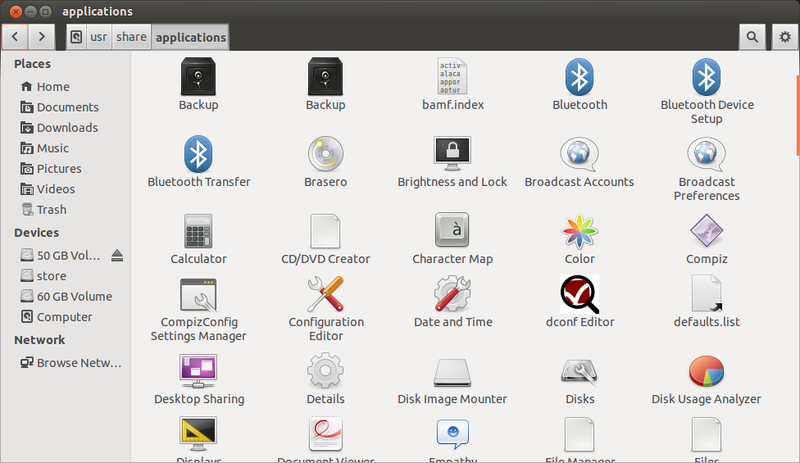 Ubuntu has already forked Gnome Control Center into Ubuntu Control Center in Quantal.